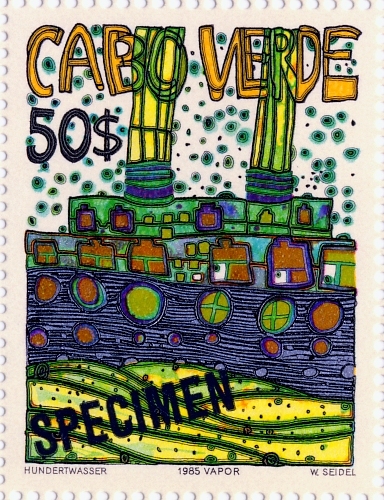 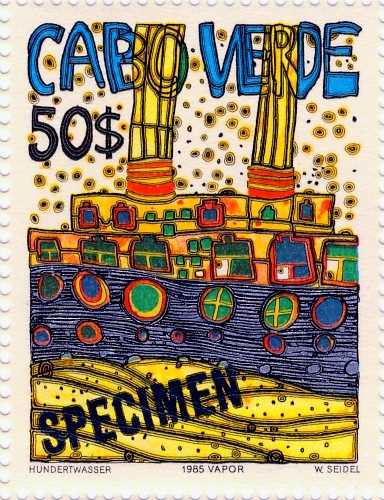 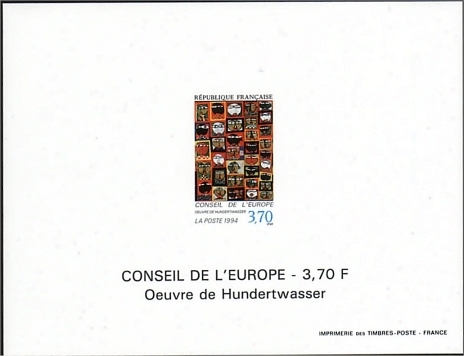 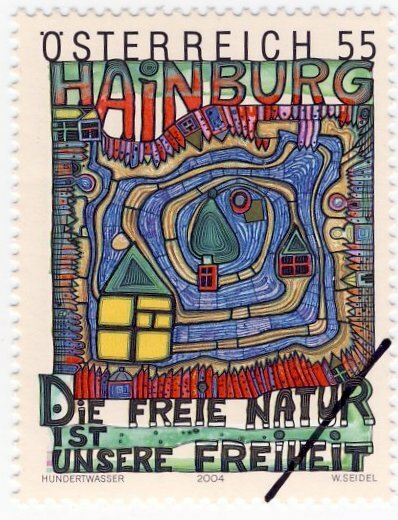 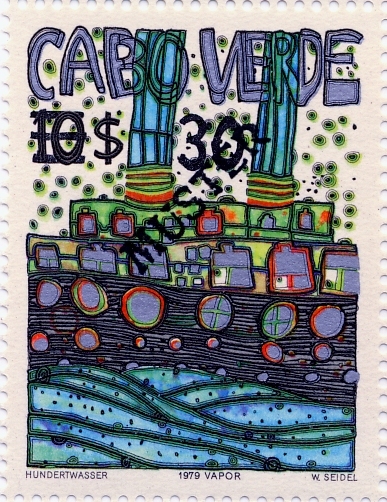 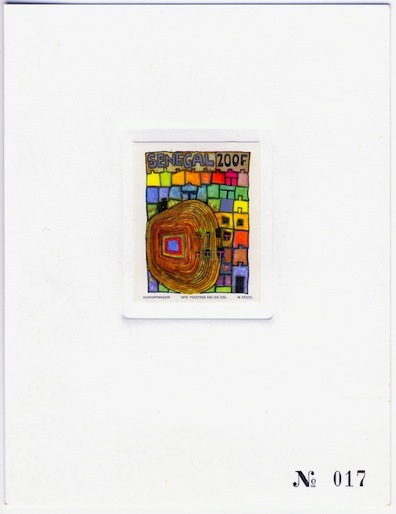 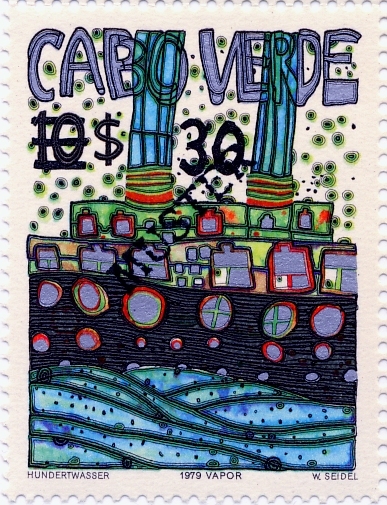 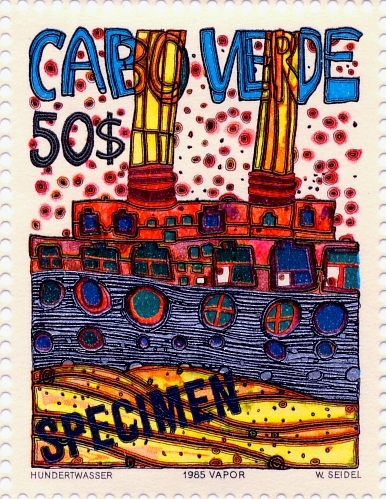 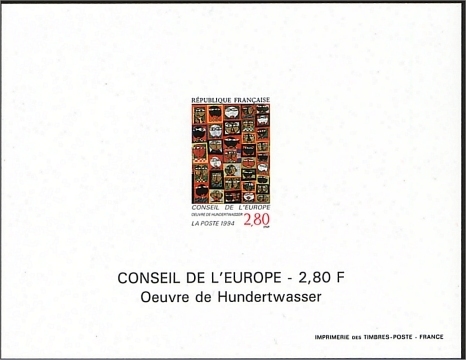 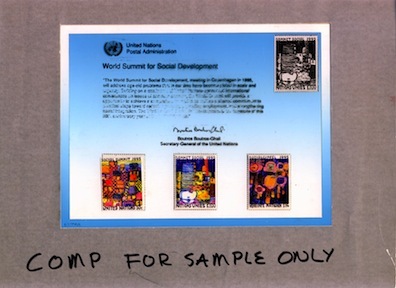 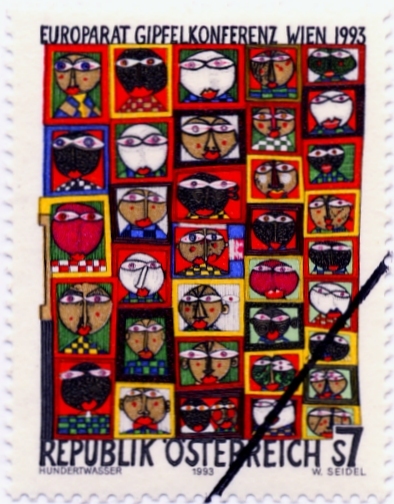 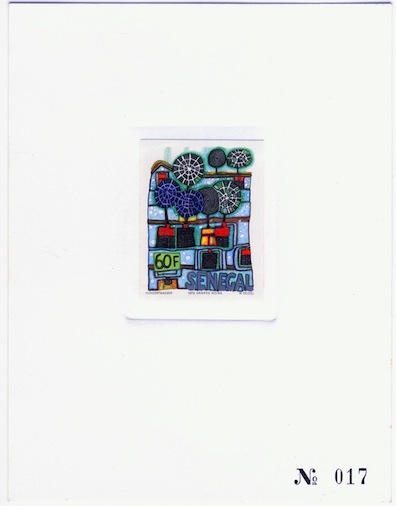 These stamps are sent as samples to reviewers, postal authorities and sometimes used to design collateral around a stamp (such as in the artwork below from the UN in 1995). 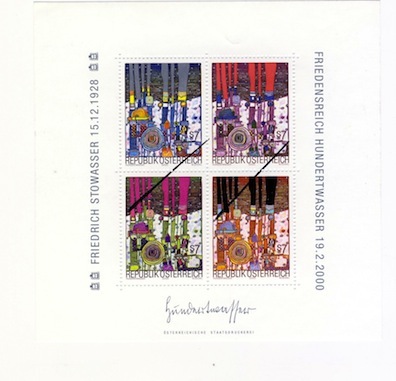 Sometimes just a line is drawn through the corner to designated them, while others are printed with the word Sample, Specimen or (in German) Muster across the image. 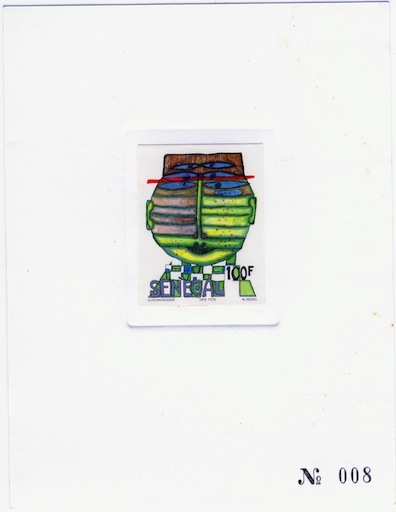 They don’t otherwise differ visually from the normal issue.